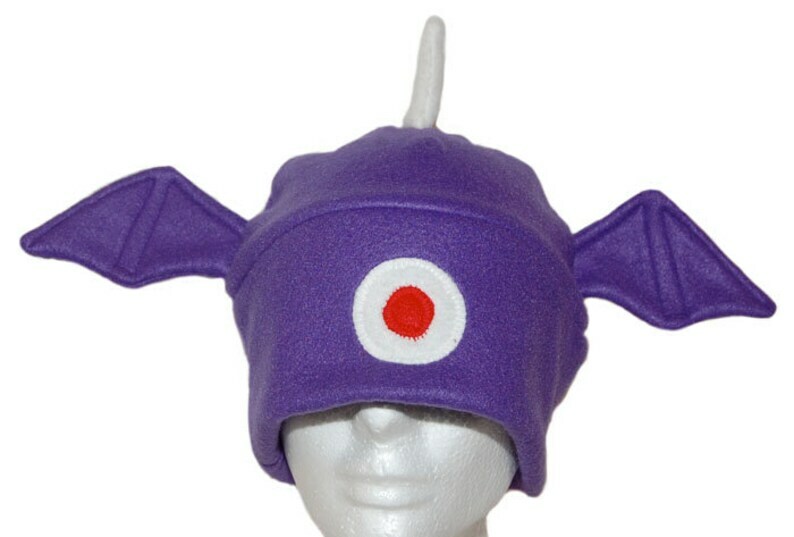 He's got one big eye, one pointy horn, two flappy wings and is undeniably purple. As to whether he eats people, well, you'll have to find that out for yourself. 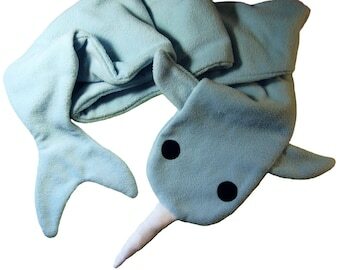 He is machine wash and dryable and sized to fit the average teen or adult head.